Pink Street are marketing this two bedroom ground floor apartment, the property is very well presented and benefits from having two double bedrooms a good size lounge/diner, kitchen, bathroom and a balcony. The property is situated close to the local shops and within close links to the motorway and public transport.  Call Pink Street on 02392 864555 to arrange a viewing. ENTRANCE HALL Smooth ceiling, wood laminate flooring, intercom entry system, radiator. LOUNGE/DINER 16' 31" x 11' 92" (5.66m x 5.69m) Textured ceiling, dual aspect double glazed windows, wood laminate flooring, two radiators, feature fire place with surround, double glazed door to the balcony. KITCHEN 10' 57" x 8' 37" (4.5m x 3.38m) Textured ceiling, a range of wall and base units with work top space, storage cupboard, wall mounted boiler, stainless steel sink and drainer, space for fridge, freezer, cooker, tumble dryer and washing machine. BATHROOM 6' 38" x 5' 45" (2.79m x 2.67m) Smooth ceiling, obscure double glazed window, bath with shower over, pedestal wash hand basin, low level w/c, radiator. BEDROOM ONE 10' 92" x 10' 91" (5.38m x 5.36m) Textured ceiling, double glazed windows to the front, wood laminate flooring, radiator. BEDROOM TWO 11' 42" x 9' 43" (4.42m x 3.84m) Smooth ceiling, double glazed windows, built in wardrobe, radiator. OUTSIDE The property comes with a two storage sheds inside the communal area and one outside.